This year marks the twentieth anniversary of the Rwandan genocide. In the hundred days that followed the downing of President Juvénal Habyarimana’s plane on April 6, 1994, at least eight hundred thousand people, mostly Tutsis, were killed in what the journalist and author Philip Gourevitch has called “the most efficient mass killing since the atomic bombings of Hiroshima and Nagasaki.” (Rwanda is a country not much larger than Vermont; to put the numbers in perspective, the population of Vermont is less than seven hundred thousand.) Almost immediately, the genocide was followed by a colossal refugee crisis, as Hutus fearful of a Tutsi retaliation fled to Zaire (as it was then), Uganda, Burundi, and Tanzania. Disease killed thousands. Retributive violence was widespread. The wars in the Democratic Republic of Congo that stretched halfway through the first decade of this century were an indirect consequence of what happened in Rwanda in 1994. Next year Gourevitch will publish a follow-up to his landmark 1998 account of the genocide, We Wish To Inform You That Tomorrow We Will Be Killed With Our Families, so now seems an opportune moment to revisit his earlier masterpiece. Rwanda’s revolutionaries had become what the writer V.S. Naipaul calls postcolonial “mimic men,” who reproduce the abuses against which they rebelled, while ignoring the fact that their past masters were ultimately banished by those they enchained. The conditions for genocide were much more complicated than mere ethnic rivalry, though. Consider all the factors: the precolonial inequalities; the fanatically thorough and hierarchical centralized administratrion; the Hamitic myth and the radical polarization under Belgian rule; the killings and expulsions that began with the Hutu revolution of 1959; the economic collapse of the late 1980s; Habyarimana’s refusal to let the Tutsi refugees return; the multiparty confusion; the RPF [Rwandan Patriotic Front] attack; the war; the extremism of Hutu Power; the propaganda; the practice massacres; the massive importation of arms; the threat to the Habyarimana oligarchy posed by peace through power sharing and integration; the extreme poverty, ignorance, superstition, and fear of a cowed, compliant, cramped — and largely alcoholic — peasantry; the indifference of the outside world. Hutus had worked as killers in regular shifts. There was always the next victim, and the next. What sustained them, beyond the frenzy of the first attack, through the plain physical exhaustion and mess of it? Often drunk, armed with machetes and masus (a sort of club studded with nails), encouraged by rabid radio announcers and community leaders, the génocidaires took up their mission with a ferocity that sets their actions apart from the century’s other terrible mass murders. The Holocaust, which prompted the introduction of genocide as a concept in international law and is a frequent point of reference for Gourevitch, was characterised by the diabolical bureaucratic structure that underpinned it. The destructions of Hiroshima and Nagasaki, meanwhile, were marked by the phenomenal impact in each case of a single bomb. But in Rwanda, the killing was sweaty, bloody, hand-to-hand business. I can see that it happened, I can be told how, and after nearly three years of looking around Rwanda and listening to Rwandans, I can tell you how, and I will. But the horror of it — the idiocy, the waste, the sheer wrongness — remains uncircumscribable. The story of the genocide and its aftermath is rendered vividly through Gourevitch’s conversations with a large number of those affected. These include Tutsi survivors and Hutu perpetrators; the current president of Rwanda, Paul Kagame, who was then the commander of the rebel forces that had brought the carnage to an end — though not without violent collateral damage; and Paul Rusesabagina, the acting general manager of the Hôtel des Milles Collines, whose cool head and cunning ensured the survival of some twelve hundred displaced Tutsis and Hutus (he was also later the subject of the film Hotel Rwanda). Often, it reads like a cry of anguish — at the outrageous negligence of the so-called international community; at the maddening, entropic carnival of violence that continued well beyond the book’s writing. It is certainly a key document for western readers: an erudite, involving, fierce piece of writing that gets to the heart of the lie of remembrance in the post-Holocaust world. With more recent humanitarian disasters in Darfur and Syria, it is clear that the lesson was no more learned from Rwanda than it was from Auschwitz. 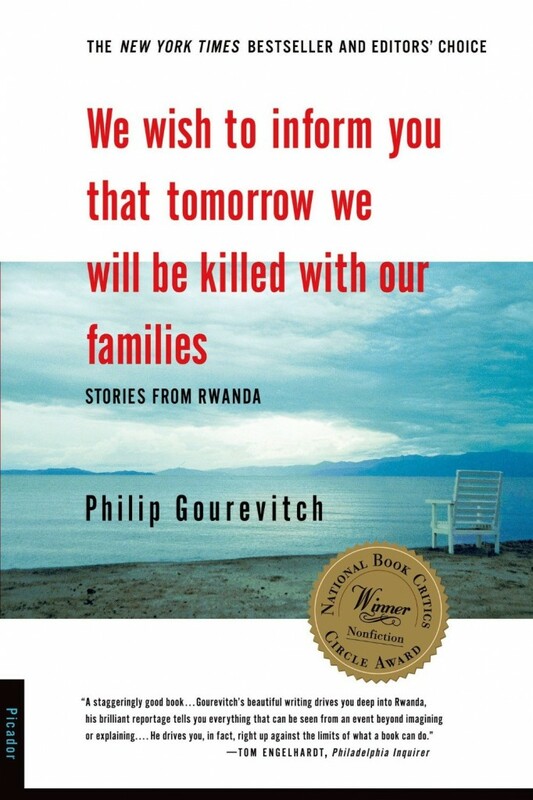 Philip Gourevitch’s next book, You Hide That You Hate Me and I Hide That I Know, in which he returns to Rwanda, will be published in 2015. We’re delighted that Philip is one of our Seriously Entertaining guests at No Satisfaction on November 17 at City Winery alongside Ruby Wax, Hooman Majd, Dan Povenmire, and Sarah Lewis. 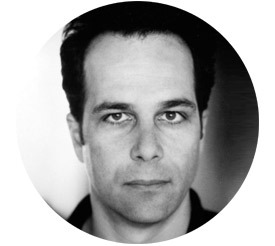 Philip Gourevitch was educated at Cornell and Columbia and began his career as a writer of short fiction. He later turned to nonfiction, focusing on a variety of subjects including ethnic conflicts in Africa, Europe and Asia, political corruption in Rhode Island, and the music of James Brown. In 2005 he succeeded the late George Plimpton as editor of The Paris Review, a position he held for five years. He is well known for his contributions to The New Yorker, and his books include the National Book Critics Circle Award winner We Wish To Inform You That Tomorrow We Will Be Killed With Our Families (1998), A Cold Case (2001), and The Ballad of Abu Ghraib (2008).